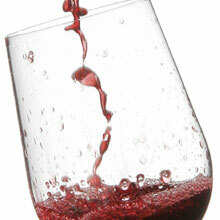 Wineware’s range of Glassware & Wine Decanters for intermediates! Being an ‘intermediate’ wine enthusiast is someone who has more knowledge of wine than a beginner but isn’t quite as educated as an advanced wine lover. They take pride in what they drink and like to choose wisely, whether it be whilst out dining with friends or choosing a bottle at your local supermarket or wine merchant. The Wine World can be an intimidating place at times as there is so much complexity and detail with which you can educate yourself, how the process works, the different grape and soil types, the different regions around the World and so on – there’s just so much information out there! Being interested in Wine is becoming more ‘cool’ and accessible; the likes of Olly Smith have helped this with regular appearances on popular day time TV programmes. A young, chirpy chap who is enthusiastic about wine has started to influence the younger generations and is possibly dismissing the old, stuck up stereotype. With an understanding of wine and how it works, what you’re tasting and how you taste, an intermediate wine enthusiast will know that the equipment and glassware you use can play a big part in your enjoyment. The different glass types and shapes play a huge part on how a wine can taste and the flavours can change quite dramatically. Below we’ve listed our most popular wine glasses and decanters for intermediates, these should undoubtedly help you further in your wine enjoyment. – Unique stemless glassware, great for the dishwasher! Click here to view Wineware’s entire glassware and wine decanter collection.